I love this shade of yellow, in the Spring! 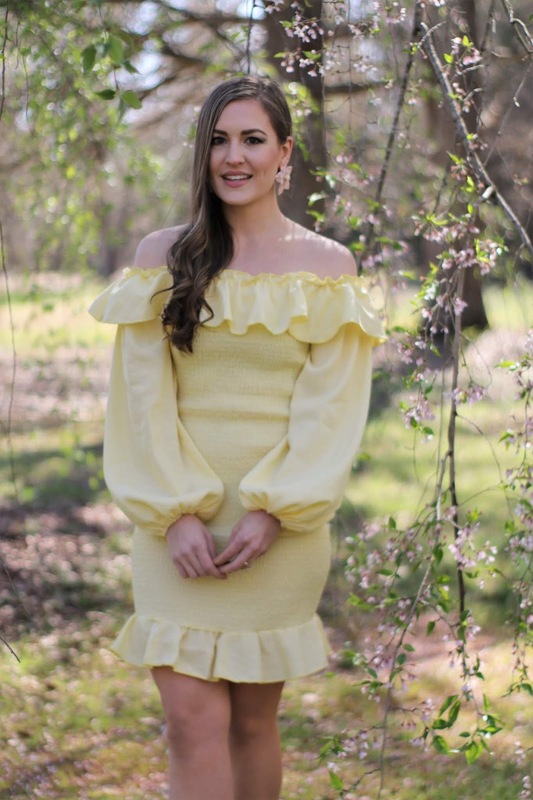 And, this dress with it's adorable smocking, cute little flirty hemline, and balloon sleeves with the ruffle off-the-shoulder detail is kind of everything, right now. I love how it combines pretty much everything I love in one dress, and I gotta say - kinda obsessed! I have several dresses with this kind of smocking, now, and I love them more and more with each day! 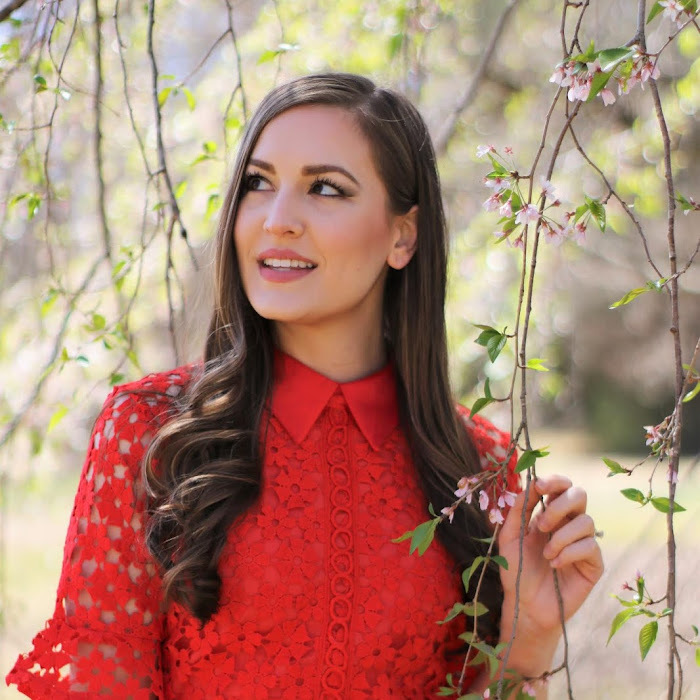 I haven't worn as many off-the-shoulder things yet, this Spring as last Spring, and I'm feeling like I need to step it up in that area, so here we go! haha It's always a favorite, for real. You guys, Lorelai is on Spring Break this week, and I'm so excited! This week should be so fun - I plan to take them on so many walks, and to the park, and the zoo. It's really nice that she's in school, now, as it gives them a lot of structure in their little toddler lives, but I'm also super grateful for time off, and to spend extra time with both of my babies. They're only little once, as everyone always says! And, this weekend is Easter, which is always one of my favorite holidays. The kids are going to love searching for Easter eggs and getting their cute little stuffed bunnies. I can't wait! I hope you have a great week, and thank you so much for being here! This dress looks so cute:-)Lovely pictures! Thank you, Olga!! 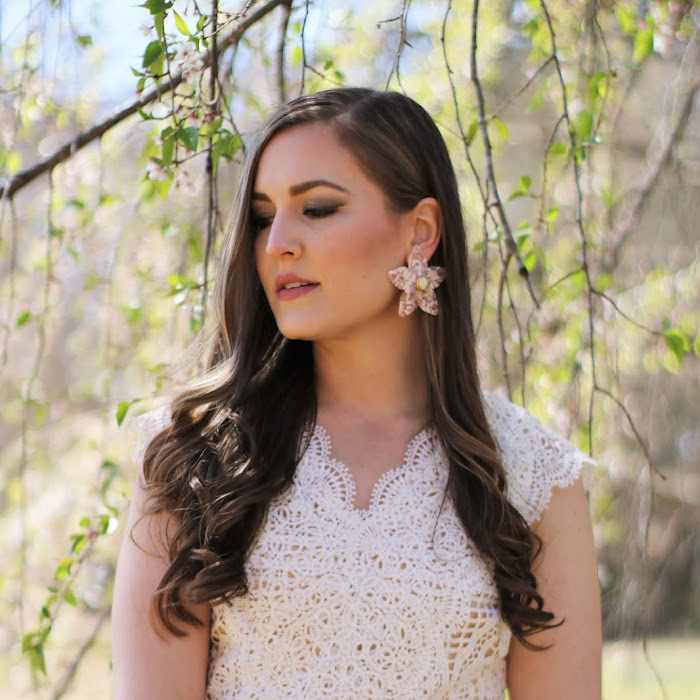 I love the smocking trend so much! I hope you're having a nice Monday! Loving this color on you! The shape of this dress is amazing too. Perfect for Easter Jessica! Thanks, Kathrine, I really love it too! I hope you're having a great Monday! Love this dress, it's so gorgeous! 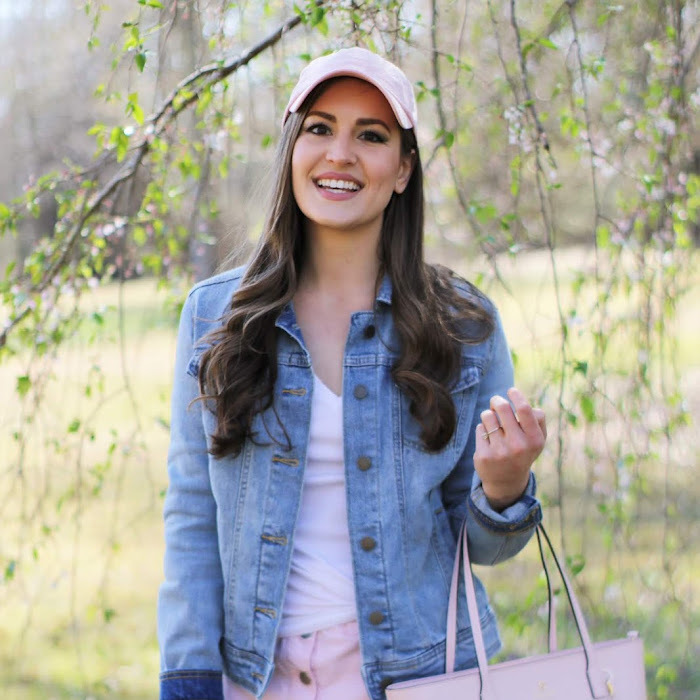 What a great Easter look, too! Thank you so much, Felicity! I hope you're having a great day! Such a gorgeous dress on you Jessica!! Thanks so much, Jodie! I really love this yellow! Thanks so much!! Have a wonderful Tuesday! In love with your dress babe. Thanks girl!! I love smocking, these days, so fun!! This trend is so 90s and I'm HERE FOR IT! 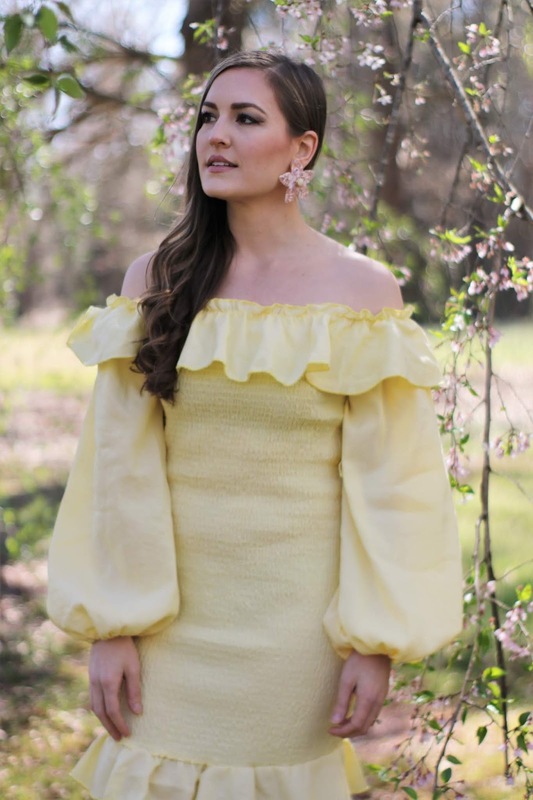 Love the soft yellow + pretty ruffles, too! Thank you so much, Ashley! I am too! I hope you're having a lovely week! 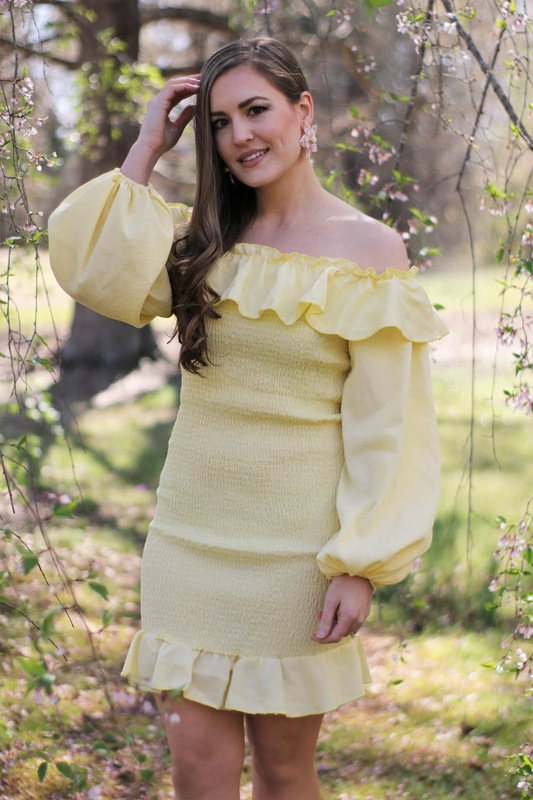 This sensual yellow dress is perfect for spring! You look beautiful Jess, xoxo. Thanks so much, Dessy! Hope you're enjoying your Wednesday! Loving the color of the dress. As usual you look so amazing. Awww, thanks Sophie! So kind of you! Have a lovely evening! Thank you, Ella! I just love this soft yellow shade. I hope you're having a great week! That dress is so cute! I love that shade of yellow and I hope you're having a great week!